BikeFit cycling socks are white with blue cuff with 2 color logo. Have any cycling socks ever been so fun to wear? We don't think so. 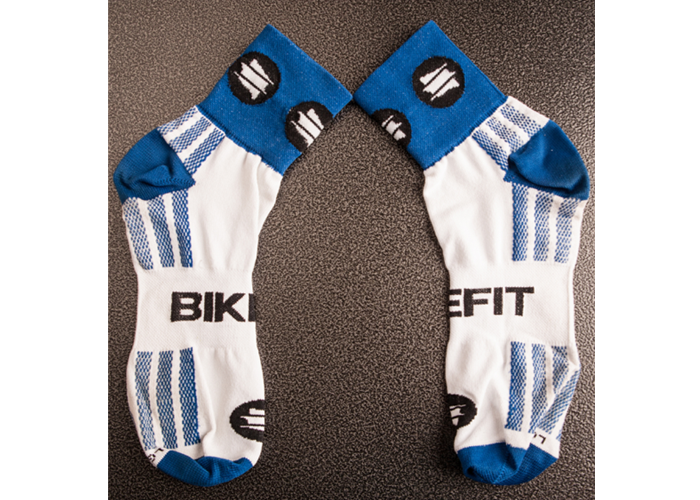 Our 50% polyester and 50% cotton socks come with a blue cuff and the BikeFit logo to make your feet look really good. Darn good.